On the fourth Wednesday of every month men of St. A's are all invited for dinner and casual conversation in Pierson Hall. Bring a dish or something to grill! Friends always welcome. The 2019 women's retreat is on Reclaiming the Feminine Divine and will be held at Serra Retreat in Malibu the weekend of February 22-24. For more information and to sign up, click here. 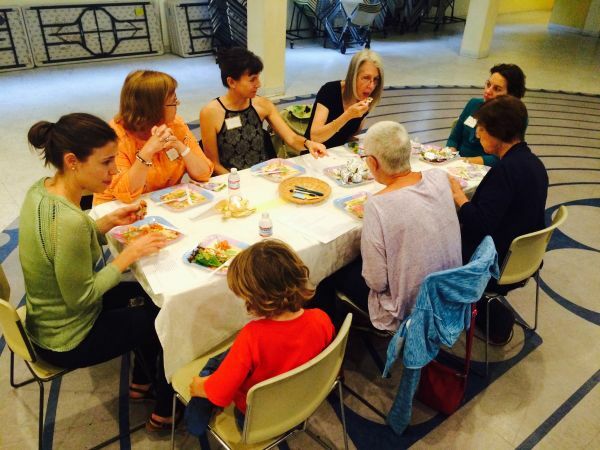 Once a month, typically on the first Wednesday evening, women gather for a community dinner and discussion led by one of the women in our community. Dinner is provided ($10 contribution requested) and friends are always welcome. On the third Saturday morning of each month women are invited to get together at a local coffee shop to simply hang out - no agenda - no topic. Just great coffee, great company, and great conversations.